"I've set up my corporation. Now what do I do?" All too often business owners and real estate investors are asking this question. They have formed their protective entity - be it a corporation, LLC, or LP - and don't know what to do next. Run Your Own Corporation provides the solution to this very common dilemma. Breaking down the requirements chronologically (i.e. 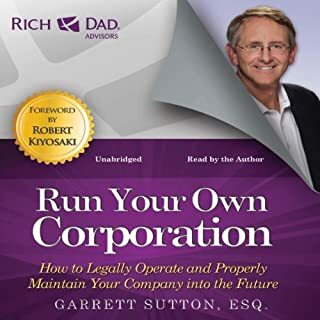 the first day, first quarter, first year), the audiobook sets forth all the tax and corporate and legal matters new business owners must comply with. This book contains detailed explanation on the policies, requirements and procedures to incorporate, document and run your own business. Examples of three different businesses including the, mistakes, errors and pitfalls encountered provide a sobering and helpful guide to the new entrepreneur. Examples were given on how to avoid these mistakes an errors and how to remedy them if made. 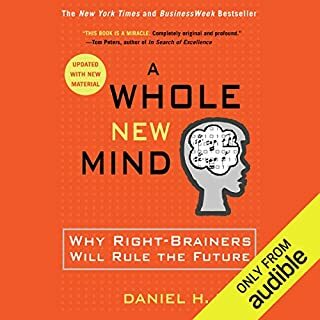 I think a prudent entrepreneur would be well advised to read this book. The most fascinating, stimulating, intriguing, thought provoking, challenging book I have ever read! I have a lifelong curiosity, love and passion for learning and thirst for knowledge, new ideas and points of view. My focus was primarily on left brain skills, knowledge science, math, analytics and logic. This book opened up a new world of senses design, story, symphony, empathy, play and meaning. Thrilled to be in a new path to enlightenment and meaning!